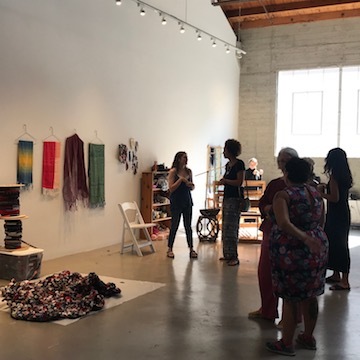 In conjunction with the residency, Aneesa will conduct fiber workshops that will teach techniques (knitting, sewing, weaving) as well as introduce the history of these art forms and review their historical and cultural context. More information & registration for the workshops can be found here. Generous support for the residency has been provided by Helms Design Center, who is providing (absolutely gorgeous!!) 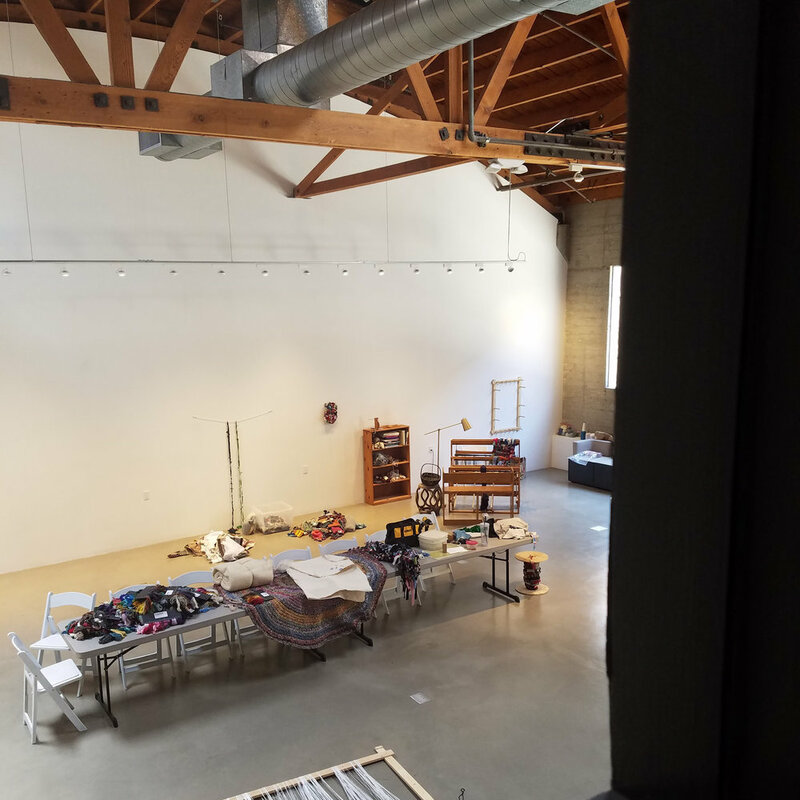 space and logistical support in support of Textile Arts LA.